It can be much frustrating for you when you find that your garage door is not working properly. As residential and commercial garage door service experts, we have dealt with all the issues that can make your garage door malfunction. Below is a list of some of the common reasons for your garage door to malfunction. We all know that the garage door transmitters need power to function normally. If there isn’t enough juice in the batteries of the transmitter, it will not be able to send a signal to the door to open it. To find if it is the dead batteries in your transmitter making the garage door to malfunction, you need to check if the transmitter fitted to the wall inside the garage is able to open the door when pressed. If it does open the door, you just need to replace the battery of the transmitter in your car. If you find that the garage door is not opening even if you press the transmitter inside the garage, it can be an issue with the garage door opener or the photo eye. In such situation, you can proceed to the next step. There are two photo eyes, which transmit on either side of the door. These eyes transmit an infrared beam between them to find obstacles in the path of the door when it closes. This is a safety measure provided to ensure that the garage door from closing on top of something or someone to cause serious damage to properties or injuries. If you find that the photo eyes are not aligned properly or are not clean, you can get help from the best garage door repair service Tustin technician to clean and align them properly. You will know if you are home when the spring breaks, as there will be a loud bang in the inside of the garage. The bang can be so loud that you may felt a firecracker went off inside the garage. It is not the garage door opener, but the springs that support the weight of the heavy door. So when they snap, you will hear a loud bang sound. Even a faulty garage door opener can lead to malfunction. 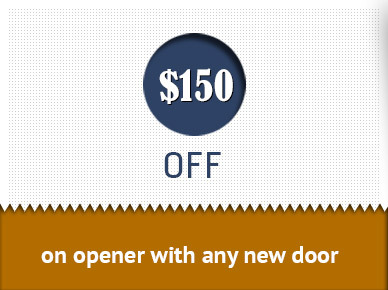 Therefore, it would be a wise idea to seek the help of a professional technician who deals with garage door openers Tustin to find and fix the problem.